OSHA just revised the standard March 25, 2016, and launched an industry compliance assistance effort September 23, 2017, with full enforcement of the standard October 23, 2017. The 2016 rulemaking lowered the permissible exposure limit (PEL) to an 8-hour time-weighted average (TWA) limit of 50 micrograms per cubic meter (µg/m3) and instituted an action level (AL) of 25 µg/m3, among other requirements. The original standard established in 1971 had a PEL of 100 µg/m3 in general industry and 250 µg/m3 in the construction industry. 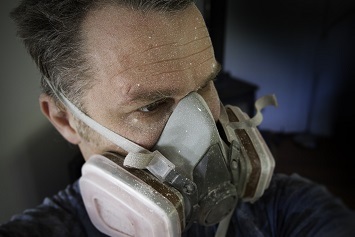 The construction industry standard includes a table of prescribed control methods for specific tasks and tools that can release respirable silica dust. Employers that fully comply with the methods specified in “Table 1—Specified Exposure Control Methods When Working With Materials Containing Crystalline Silica” are not subject to the PEL or requirements for monitoring worker exposures. The agency now plans to seek feedback on Table 1. OSHA outlined its plan in the Fall 2018 agenda of regulatory and deregulatory actions. The agency said it would issue a pre-rule request for information in December 2018. It so far has not issued that notice. The effectiveness of dust control methods in limiting worker exposures to respirable crystalline silica when performing those operations. The agency expects to evaluate the information submitted in response to the request for information, then determine if revisions to Table 1 are appropriate. The 2016 rulemaking establishing the lower PEL was controversial and subject to a challenge in federal court. However, December 22, 2017, the three-judge panel of the U.S. Court of Appeals for the District of Columbia Circuit unanimously upheld the OSHA rulemaking with one exception, ending a challenge by the North America’s Building Trades Union and U.S. Chamber of Commerce. The Court of Appeals agreed that OSHA’s medical removal requirements were arbitrary and instructed the agency to reconsider them. While employers may find encouragement in the Trump Administration Labor Department’s willingness to revisit the construction industry silica standard, the March 2016 revisions still stand. OSHA has been fully enforcing the revised standard since October 2017. Employers in the construction industry that do not wish to monitor silica exposure to ensure compliance with the PEL should focus their compliance efforts on fully and completely complying with the exposure control methods detailed in Table 1, as well as avoiding methods not included in Table 1. However, CSHOs are required to collect personal air samples if employers are not “fully and properly” implementing the control methods detailed in Table 1 or have workers performing tasks or using tools not listed in Table 1. Maintaining records of air monitoring records or other data used to assess exposures. Employers may want to monitor the request for information and any comments or data submitted in response to any OSHA notice concerning the construction industry silica standard. The agency’s actions may or may not result in future changes to Table 1 that could ease the burdens of complying with the silica standard.